Brown Like Me? Pretty Rare in OT. Many people have asked this question: How diverse is occupational therapy as a profession? In my own experience, I had to look no further than the slideshow for the Eleanor Clarke Slagle Lectureship at the 2015 AOTA Conference to find an answer. After spending several minutes watching the slides tick by, I began to notice a trend. I kept waiting for the photos on the slides to change as I watched and the year 2015 approached, but from 1955 onward I saw only 4 or 5 people who didn’t fit the White woman mold. In the SIXTY YEARS that the Slagle lectureship has existed, there have been a handful of men and only one African American woman who have spoken. Since 1969, when Dr. Lela Llorens, PhD, OTR, FAOTA, delivered her speech, there has not been a single Slagle lecturer who looks like me. I know, I know. There are the very obvious “You can’t judge a book by its cover!” and “There’s more to diversity than skin color!” arguments to be made here, and they are certainly valid! I’m sure that each of these lecturers had merits and achievements that warranted their selection, and I won’t pretend to know each one’s ethnicity or cultural background. However, while those faces in the slideshow certainly seemed to be an accurate reflection of the profession’s demographics (86.2% AOTA Members are Caucasian according to a 2006 Workforce study), I don’t believe they are an accurate reflection of the wonderful diversity of the profession’s many innovators and influencers. I find it extremely hard to believe that in the nearly 100 years since OT was officially established as a profession only White women have “creatively contributed to the development of the body of knowledge of the profession through research, education, and/or clinical practice,” which are the requirements to become a Slagle Lecturer. Honestly, I can’t pretend that watching a 10-minute slide show celebrating the biggest thinkers, visionaries, and leaders in my profession and seeing only one person of color didn’t hurt – for me, it was really very discouraging. I’m sure this lack of diversity wasn’t intentional, and many AOTA leaders have been instrumental in developing or supporting initiatives to promote increased professional diversity. However, it may be time to take a closer look at the unspoken message about the value of diversity the profession is sending to students and members with its speaker selections and the makeup of its leadership committees. For example, another place in which a similar lack of diversity a problem is in the AOTA Special Interest Section leadership. As I perused this page to learn more about the SIS internship program leaders, I found myself viewing another set of photos of primarily White women. Again, let me be clear in saying that this is not a comment on the qualifications of any of these leaders or a “call to arms” to start filling every open position at AOTA with the person who looks least likely to get a sunburn. But it is just another very visible indication that within the profession there is a longtime trend that continues to be a very real problem. This isn’t the first time the lack of diversity in the profession has been acknowledged as an issue, and I’m sure it won’t be the last. In fact, concerns about decreasing professional diversity was one of the main issues raised at the dialogue about the potential transition to the OTD as the profession’s single point of entry with the AOTA Board of Directors. In all fairness, there is really no way to tell what the impact of such a decision would be, but I think it says a lot that many practitioners of varied backgrounds raised this question, and I hope that our leadership (and members!) will take steps to continue pushing for a more diverse profession today and in the future, whatever the outcome of that particular discussion. (For more information on diversity and the OTD, check out the table in the middle of the page HERE). And though professional diversity is clearly an issue, it is hard to know how to address it because it is nearly impossible to know where the true heart of the problem lies. Are people of color simply not electing to be in leadership positions? Do they feel alienated or unwelcome in a profession whose leadership consists primarily of people who they feel may not value their perspectives? Is it a recruitment issue? These are all questions I’ve wondered about, and I’m hopeful that there will be more research into this issue in the future to help inform the profession’s next moves in this area. So how am I dealing with all of the frustration that I feel in regard to this issue? Because I tend to be a very proactive person, I have actively sought out role models of color who can help me navigate these and other professional issues as well as serving as examples of how I can achieve my goals and do great things even if I don’t look like the “average” OT (i.e. a youthful White woman). I’ve also participated in several events to support my school’s efforts to promote the profession to a more diverse audience. At this point, you might be saying “Why not join a group like the National Black Occupational Therapy Caucus?” Believe me, I considered it! But I don’t see the point in joining a group that doesn’t offer me opportunities for growth and doesn’t have an active presence that I can be a part of. It’s great that there are active NBOTC chapters in several areas, but none of them are near me, and I just can’t justify sending my hard-earned money off to an organization that seems to be a ghost of what it once was (although it may be in a building stage at the moment, I’m not really sure). In order to have a diverse profession, you need diverse members. 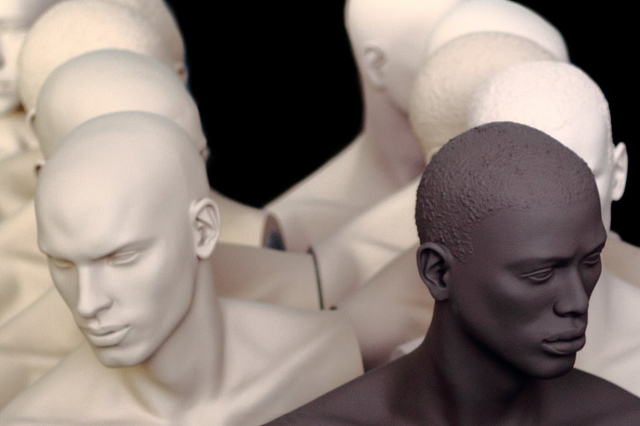 Again, there is clearly more encompassed by the term “diversity” than just skin color – there is diversity of socioeconomic status, sexual orientation, gender identification, language…more things than I can even begin to count. And having practitioners with more diverse ethnic, linguistic, geographic, cultural, and other backgrounds will not only enliven and enrich the professional dialogue, but improve client experiences as therapists will be better able to serve the increasingly diverse clientele who access OT services. 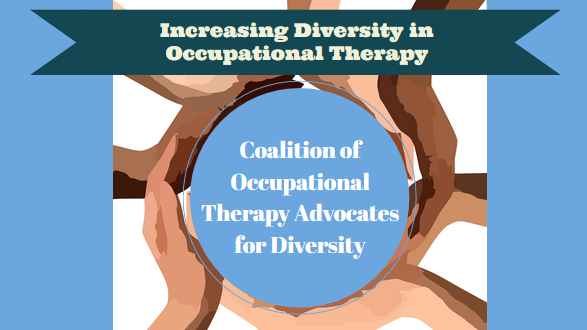 I am hopeful that more and more people of diverse backgrounds will become OTs, and I have faith that we are on the way to fulfilling the 2017 Centennial Vision of OT as a “…diverse workforce meeting society’s occupational needs,” although we are not there yet. I have high hopes for my career in OT – I want to make a difference in the lives of my clients as well as the profession as a whole, and I’m not going to let some unintentionally offensive slide show tell me I can’t. But if I’m being honest, there are some days when I still have to stop and wonder whether or not my big hair and brown skin will make the ladder to the top just a little bit harder to climb. 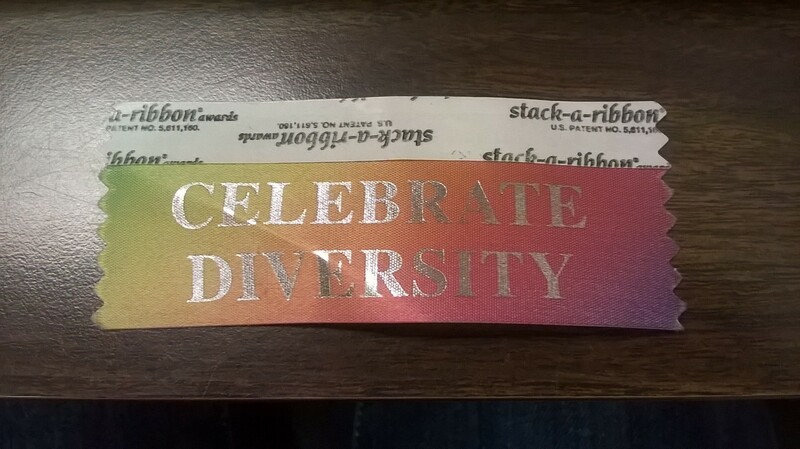 I’m hopeful that our profession will continue working to make the celebration of diversity more than just a slogan on a Conference ribbon. Transcripts of all Eleanor Clark Slagle Lectures since 1955. Me and the new friends I made at the AOTA ASD Annual Meeting in 2015! This awesome group of ladies helped set the tone for my awesome conference experience. Last year when I volunteered at the Baltimore conference, and this past year, I searched for information about the ASD and couldn’t find much about what actually happened at the meeting. The presentation slides were posted, and social media accounts had photos, but beyond that I couldn’t find much. Hopefully this post will help shed a little light on what goes on, and inform future delegates about what they can expect. 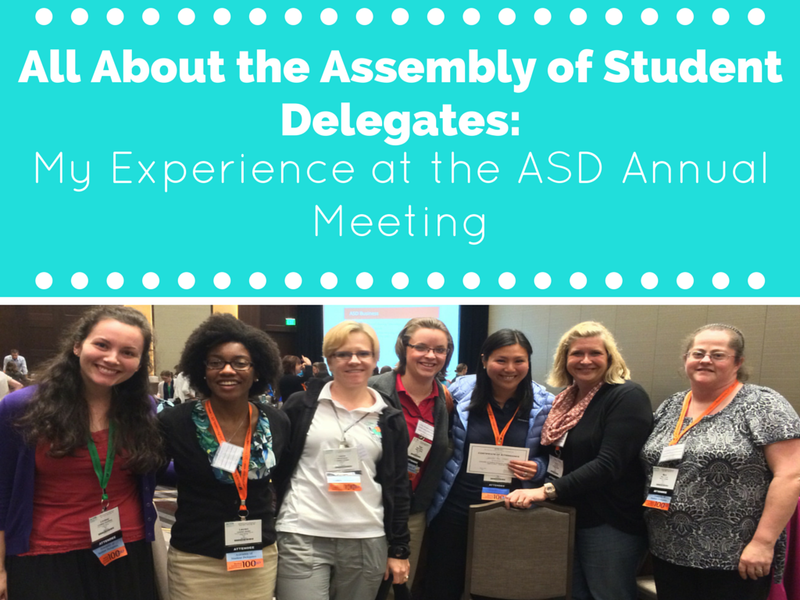 Read on to learn all about my experience as an ASD Delegate! This post is the second in my 2015 AOTA Conference Countdown series. Read the first post about how to be a successful student when missing classes for conference HERE! 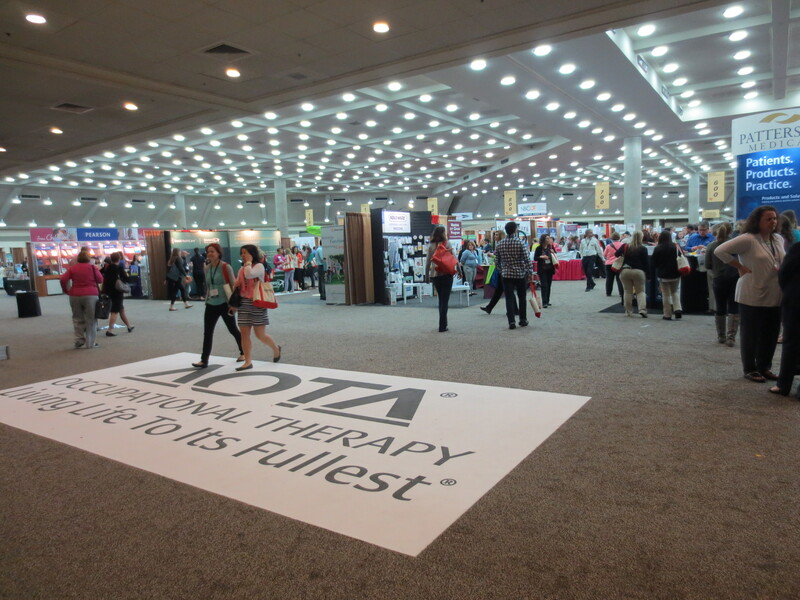 In the Expo, after a presentation, at a poster, in the café…the opportunities for networking at the 2015 AOTA Annual Conference are endless! Hello again! This week’s Conference Countdown post is all about how to make meaningful connections at the 2015 AOTA Annual Conference. Whether you’re a student, a first-time conference attendee, or a seasoned conference presenter, these tips will help you become a networking expert. 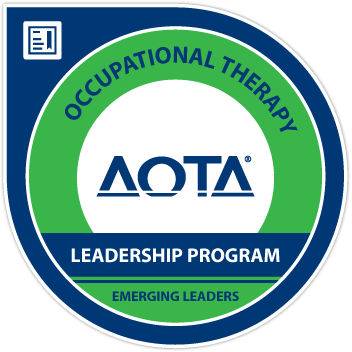 Although it may be a little late in the game for this post, I wanted to help spread the word and encourage everyone out there to vote in the 2015 AOTA elections! The deadline to vote is February 25, 2015, so don’t let it pass you by! However you may feel about the different issues facing the profession, one thing is certain – your vote is your voice, and it’s important to be heard by the profession’s future leaders! Taking the time to learn about the candidates’ positions and plans for the profession is crucial because the decisions we make today may impact our profession for years to come. In her most recent Rehab Potential video, blogger Sarah Lyon at OT Potential describes just how quick, simple, and important it is to vote and “help our [clients] by strengthening our national organization”! In less than two minutes, she eases potential fears about tackling a lengthy ballot, demonstrates some pretty legit networking skills, and directs you to the informative interviews she did with current candidates. And before you say “Oh no, all of this voting stuff will just take too much time…,” she also notes that it took her less than 1.5 minutes to vote. Everybody’s got time for that! Sarah also did a great job of interviewing candidates from two of the key races (Director to the Board of Directors and Assembly of Student Delegates) and outlining their positions on various issues in very brief, easily digestible blog posts. Although the candidate blurbs available on the AOTA website are also helpful, I feel like her interviews provide more information about topics the candidates weren’t able to fit into such brief statements. You can check out her interviews and the candidates HERE!